For modern, upmarket Rotorua motel accommodation options, and a superb corporate event or Rotorua conference venue, contact Tuscany Villas & Conference Centre. Please complete the form below and we will be in contact with you promptly. 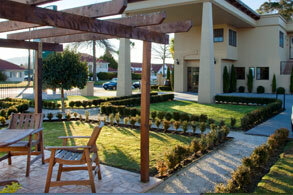 Click here for directions to our Rotorua motel! Different experience in Rotorua. The Big Splash is a nine minute long journey through time that features an informative narrative, state of the art animation bringing to life dinosaurs, moa and the haast eagle, and an adrenalin boosting plunge at the end.